The heat wave here in California broke today leaving humid heat in the upper 80s. That is perfect time to sneak outside and re-pot those trees that still have time to settle in the warm Fall heat and prepare for winter. Trees that love work this time of year are boxwood, olives, ficus, and subtropical trees. 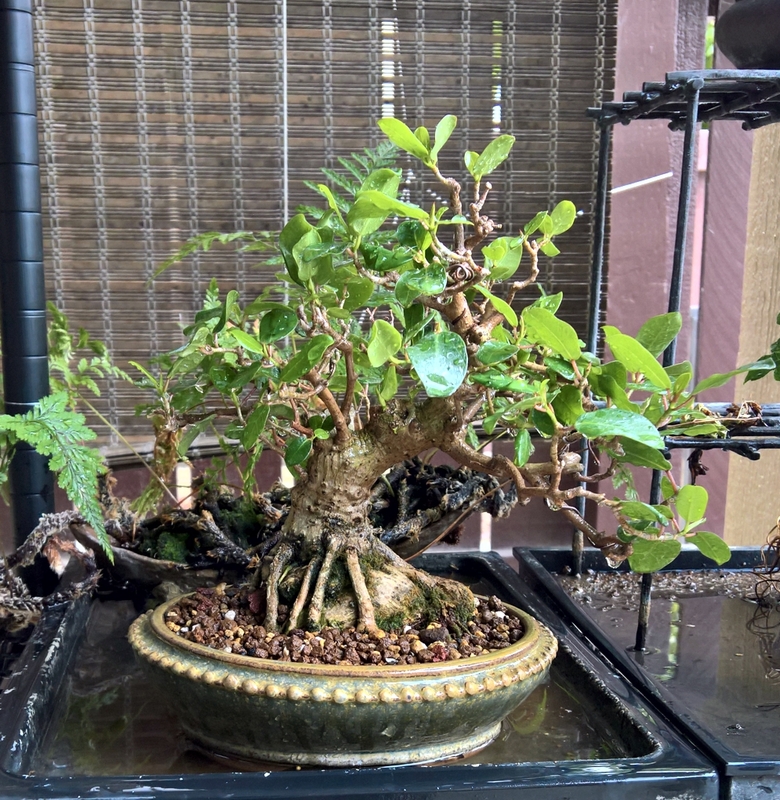 My boxwood needed considerable work when I tested the soil recently. 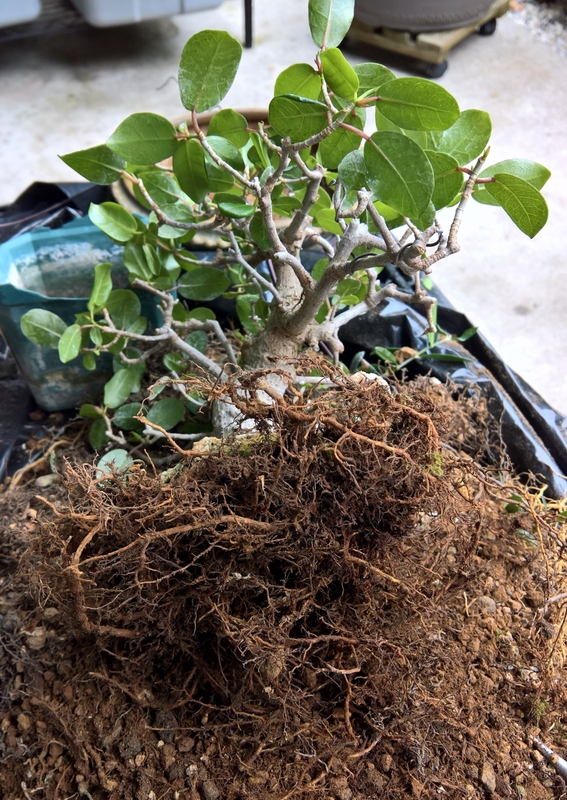 Boxwood at the beginning of the re-potting process. Out of the pot and teasing roots free of soil. 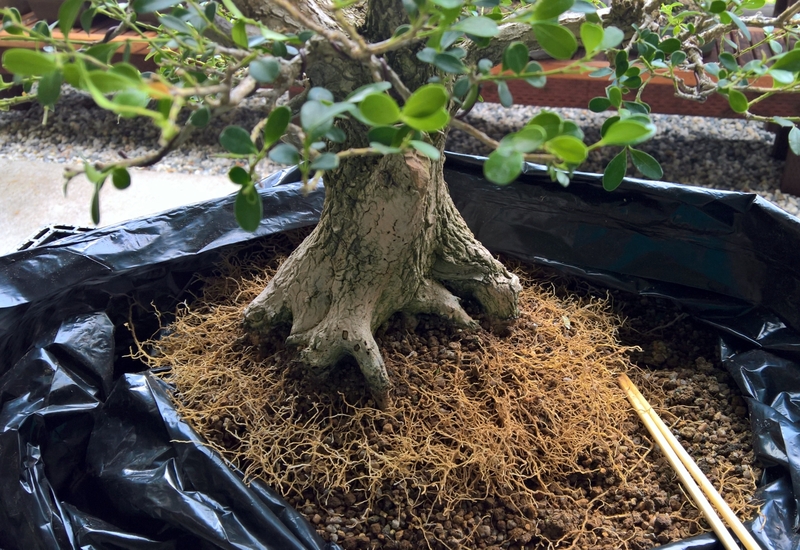 Boxwood became root-bound in just a few years. This is solid mass of roots. Boxwood summer re-potting shows is was really in need of work. The root mass had exhausted the soil mixture leave just a mass of roots. 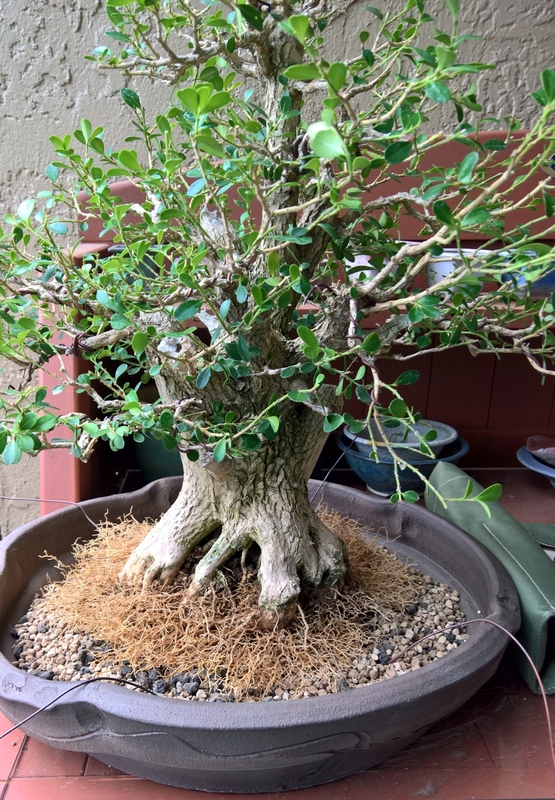 This tree was re-potted just a few years ago. 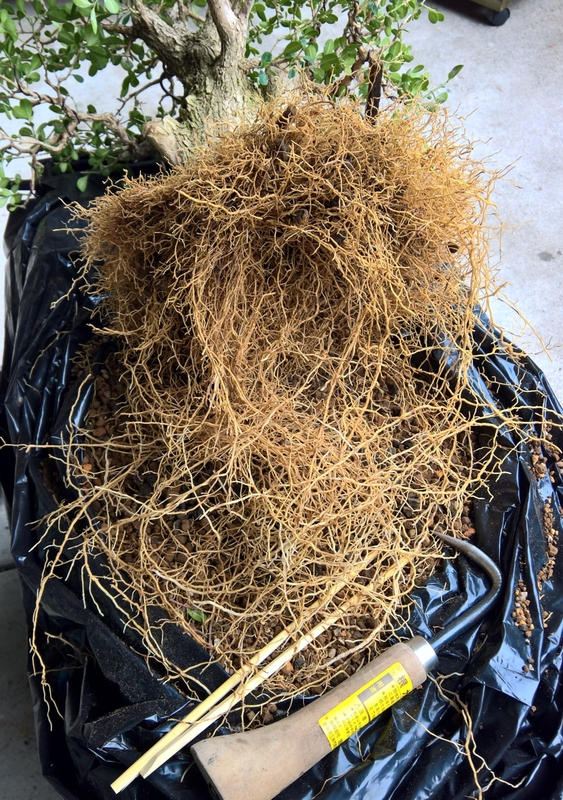 Boxwood after root pruning and set in the pot for tie-down. 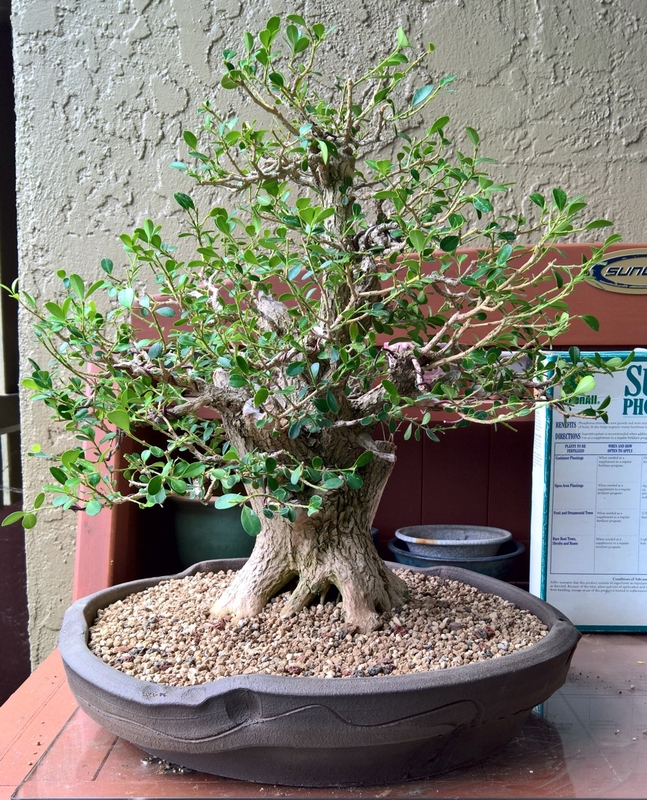 Boxwood in new pot made by Jim Gremel. This being the end of summer I checked on some small olives, black bamboo and re-potted those as well. The rest of my olives had been worked on earlier in the summer. 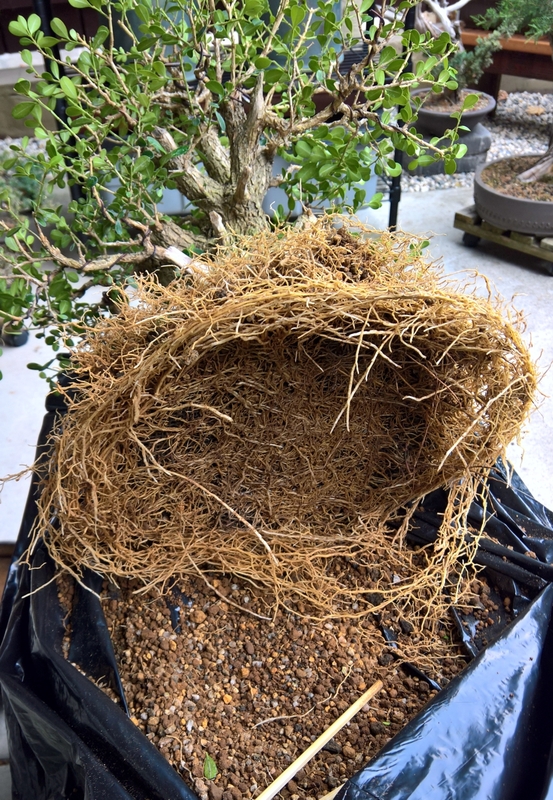 However, the ficus microcarpa had quickly become root bound this year. I found the roots has fused in the pot. Those fused roots take up considerable space in the pot and had to be cut back to allow room for more root development. Root bound ficus was extremely congested. This was re-potted last year. 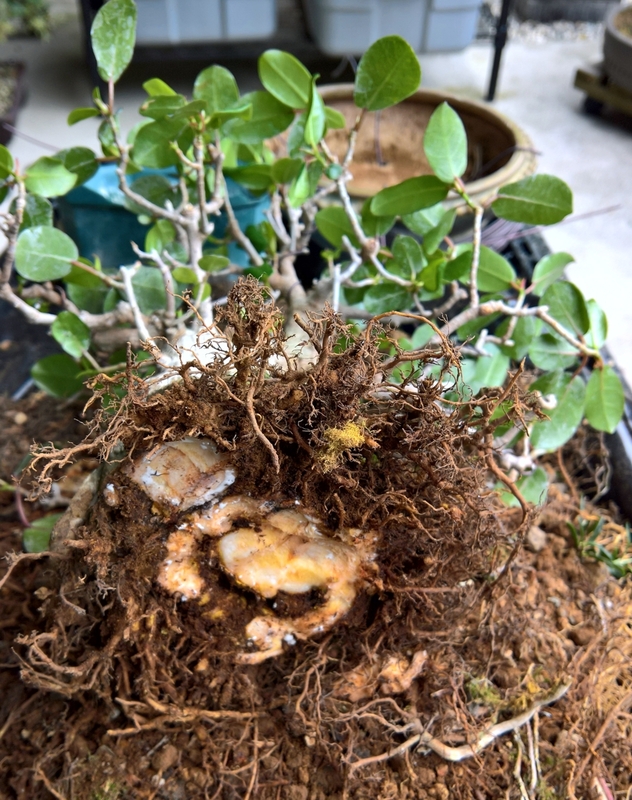 Ficus become root bound and roots fuse into a solid mass. We must cut into that mass to make room for more roots. All these trees will have time to harden up and be stable for the Fall. In this part of California we always end up having along warm stretch into September and October before the rains come.